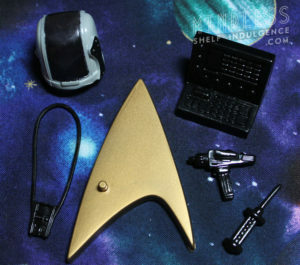 Captain Kirk is accompanied by a black logo base, a removable helmet, and black accessories. 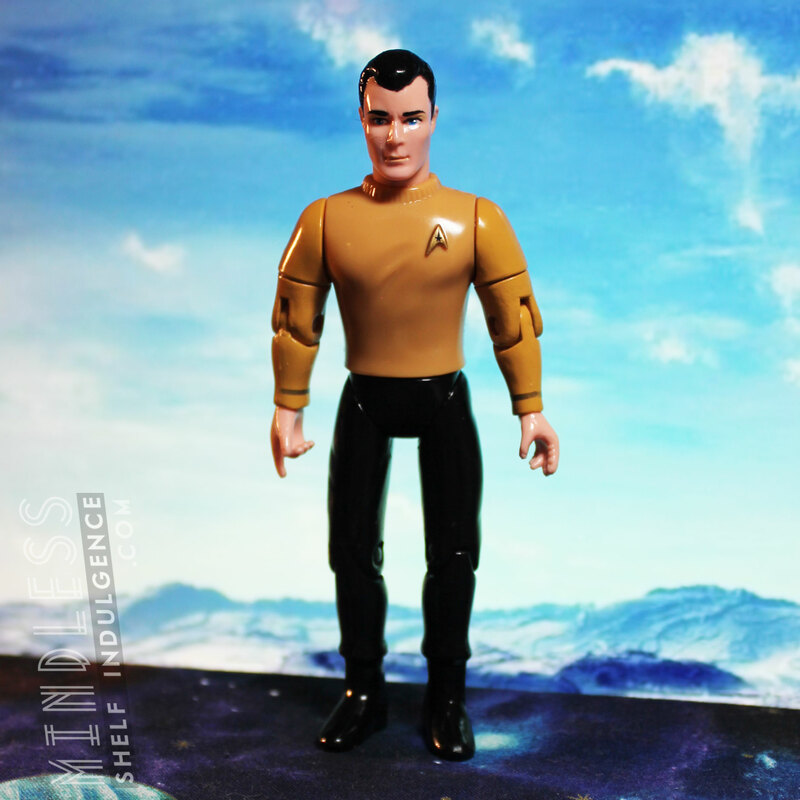 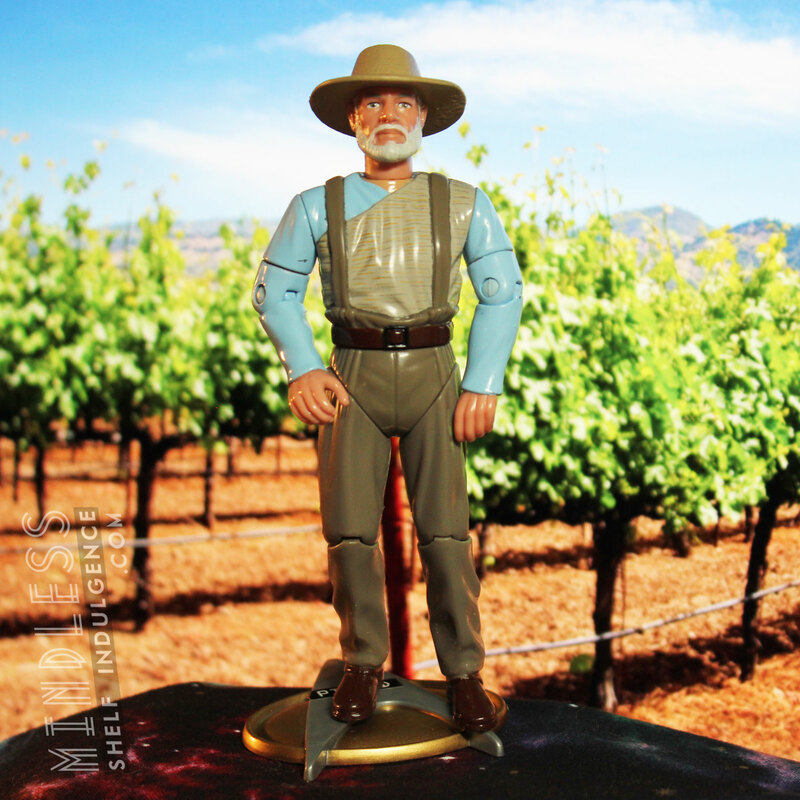 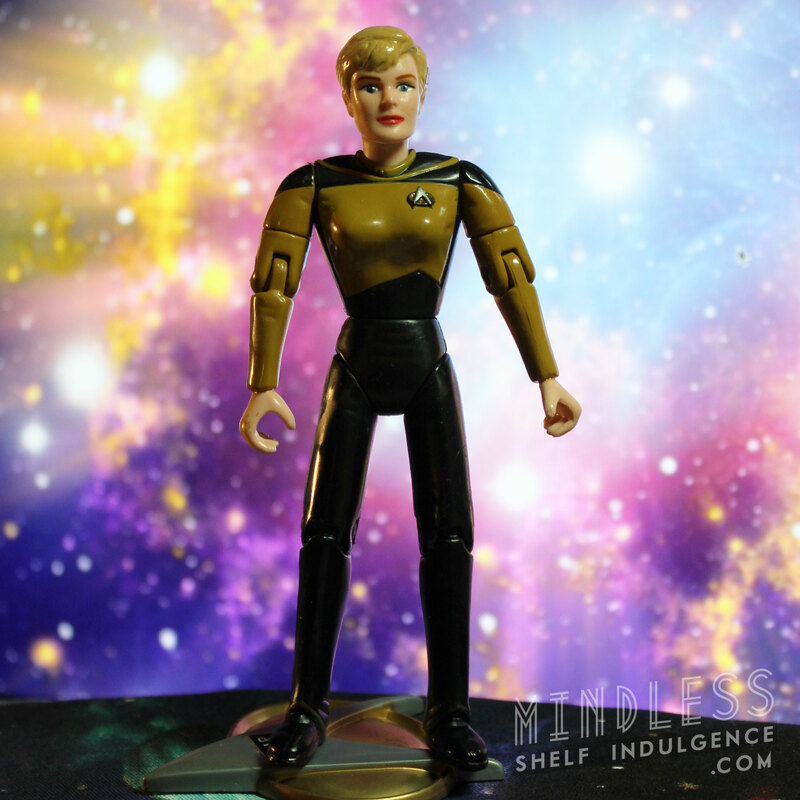 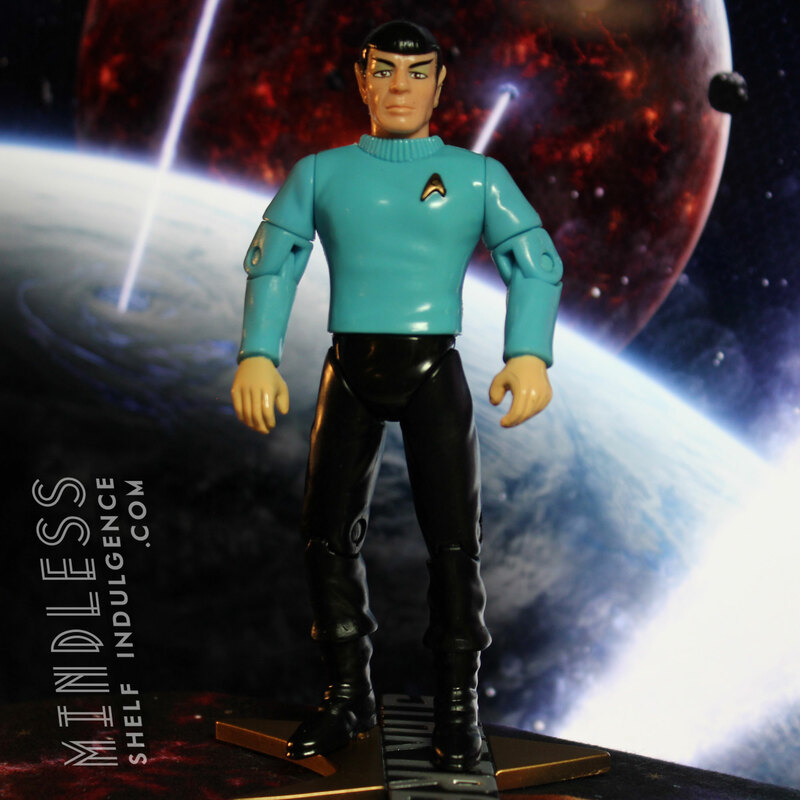 A figure with an identical body, but a Spock head, was released as a ToyFare exclusive figure. 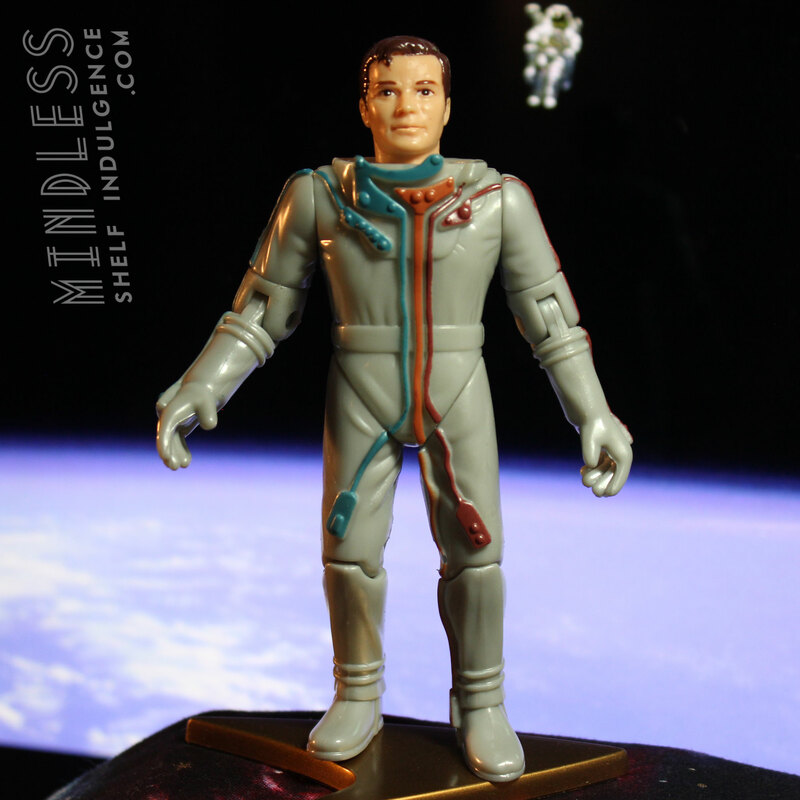 Multiple bridge crew appeared in these suits in the episode “The Tholian Web”, so it’s great for an easy custom.